Formerly known as Odupongkpehe, Kasoa is located in the Central region of Ghana in the Awutu Senya East Municipal District. Situated along the Accra-Cape Coast road. Kasoa is approximately 28 kilometres by road west of the central business of Accra. Over the years Kasoa has grown from a modest town with a population of just over 800 to over 69,000 as at 2010. 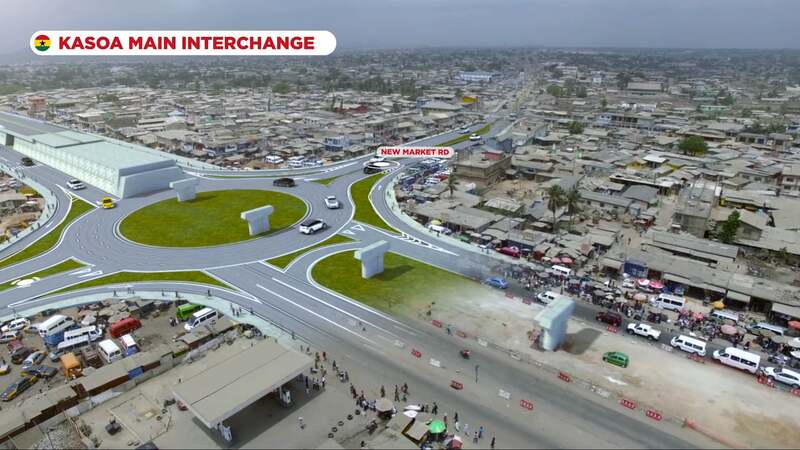 This increase is mainly as a direct result of rapid urbanization of towns located along the periphery of Accra as it expands. This has also led to a growth in the real estate market in Kasoa as well as the infrastructure located in the town. Many real estate companies in Ghana have identified the area as a newly developing area merging with a house. Due to the growth of population combined with the massive migration of people into the Greater Accra Region for various reasons an increased amount of pressure have been placed on the housing sector in the region to contain these people. This increase in demand for buildings without a similar increase in supply has seen the cost of houses and apartments continuously risen. In an attempt to find affordable houses in very livable neighbourhoods a number of people are settling on Kasoa as a viable alternative. The popularity of Kasoa for house hunters has increased as infrastructures like the road network and supply of potable water and electricity has been improved. This allows residents of apartments, houses and flats to enjoy a certain quality of living at relatively more affordable prices. The security of Kasoa is also aided by the presence of the Kasoa police station in the area. People looking to buy a house in Kasoa should be looking at paying anything between GH₵120,000 for a 2 bedroom semi-detached house to GH₵800,000 for a detached house with a swimming pool as of the beginning of 2015. Houses are usually walled as a safety and privacy measure and also help demarcate the size of the compound. Some builders also include burglar proof devices to help improve the safety of homeowners. In all buying, a house in Kasoa usually ensures an excellent value for money proposition. The best of luck in your search!!! Buying a house in Kasoa is not a bad idea! This area is just outside of Accra and borderline Central region. Houses for sale in Kasoa are very reasonably priced as the area is considered developing and is characterised by heavy traffic. This neighbourhood is off the N1 highway though, and close to the West Hills Mall. There are a number of estate communities as well as vast land for sale in Kasoa. If you are looking for Kasoa property for sale or to buy a house in Kasoa, we can help you with your real estate search so you can find your dream home.